Published by Field Day in association with the Keough-Naughton Institute for Irish Studies at the University of Notre Dame. 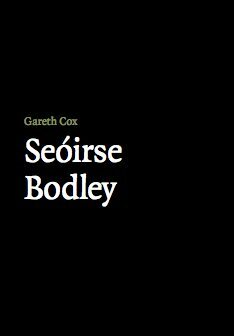 A perceptive and informative survey of the career and creative achievement of one of Ireland’s foremost living composers, Seóirse Bodley. Cox documents the context from which Bodley’s work has emerged over the course of the last sixty years, and he discusses its most significant technical features. This first full-length study of Bodley’s life and work will appeal to a wide range of readers and musicians, both specialist and amateur, and most importantly, it will encourage more performers to study, play and record Bodley’s music. Gareth Cox is Senior Lecturer and Head of the Department of Music at Mary Immaculate College, University of Limerick.